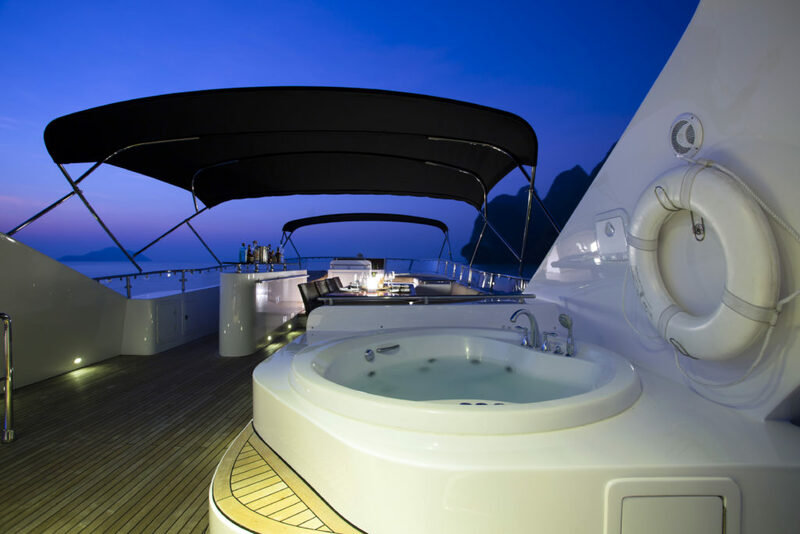 This stunning yacht offer a Jacuzzi on the flybridge, many water toys and comes with our professional Captain, crew and excellent chef. 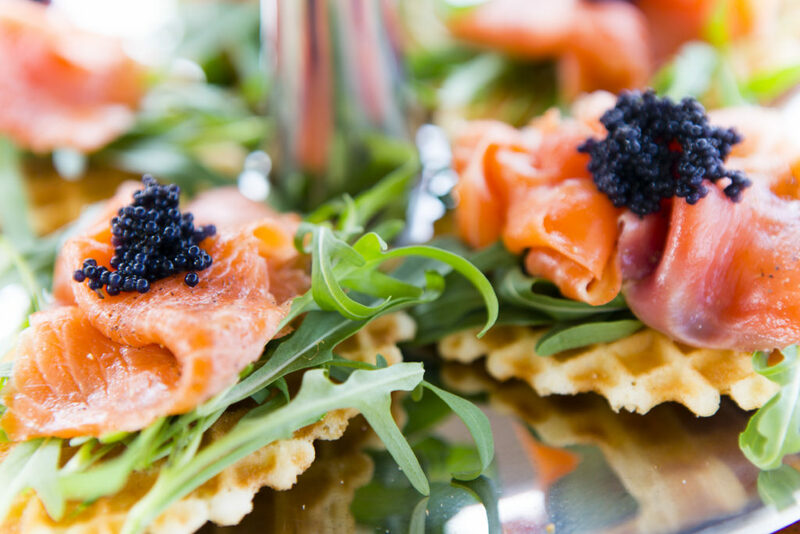 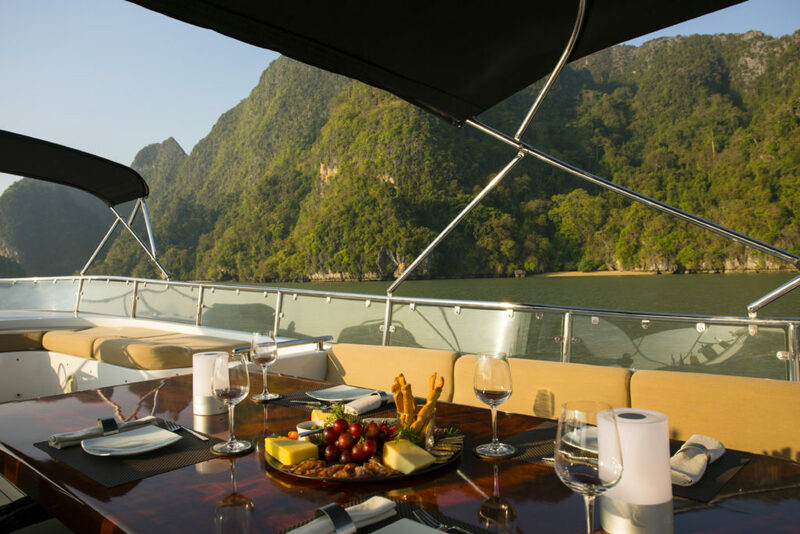 Great for families, birthday parties or any special occasion that deserves one of a kind luxury cruise with our beautiful yacht. 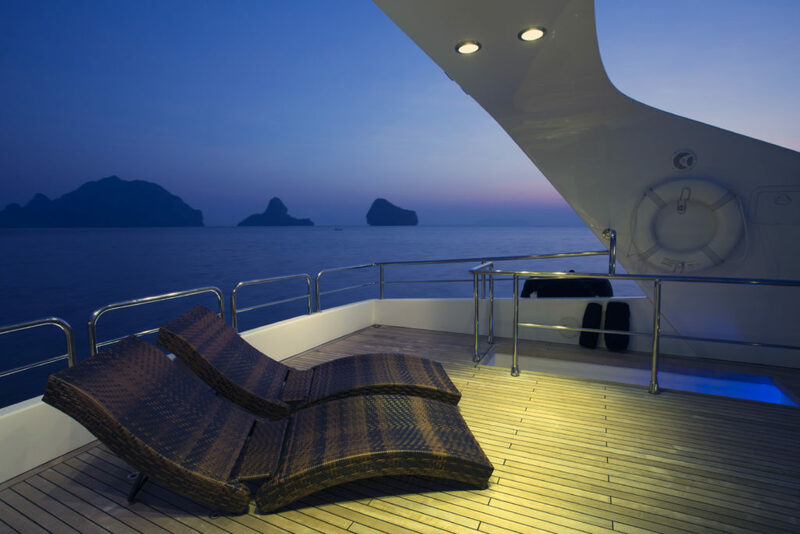 Plenty of suntanning space or covered shadow area. 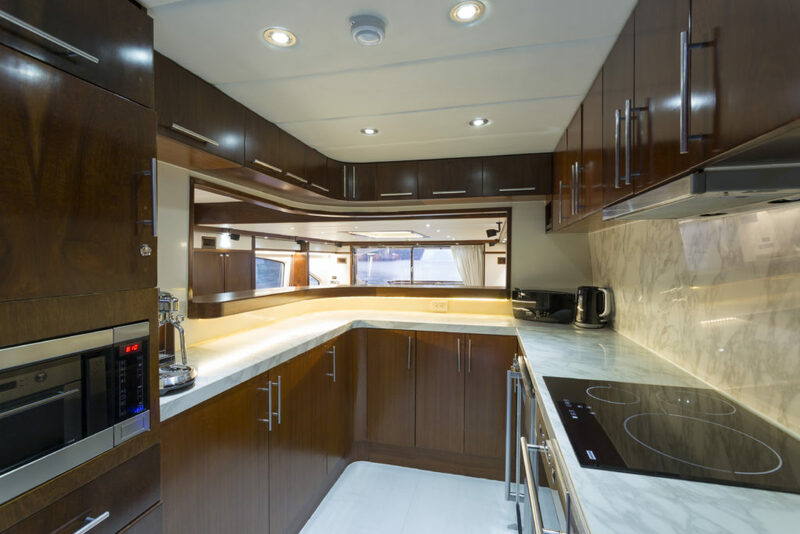 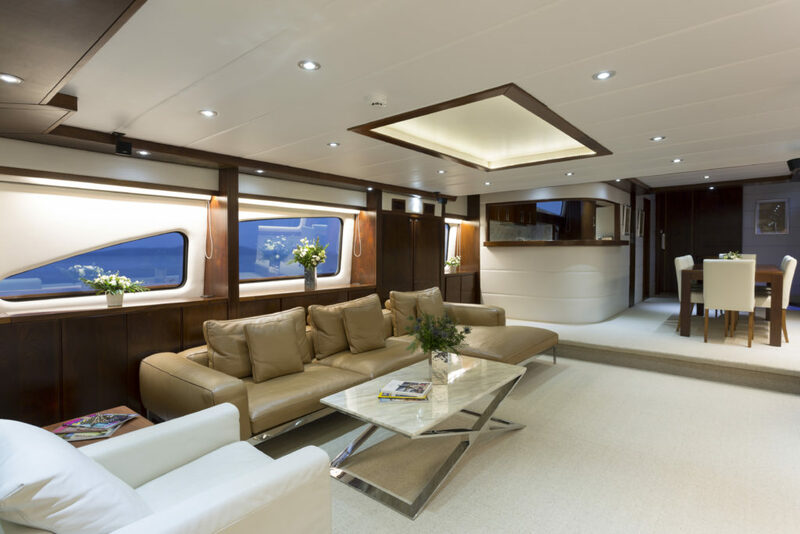 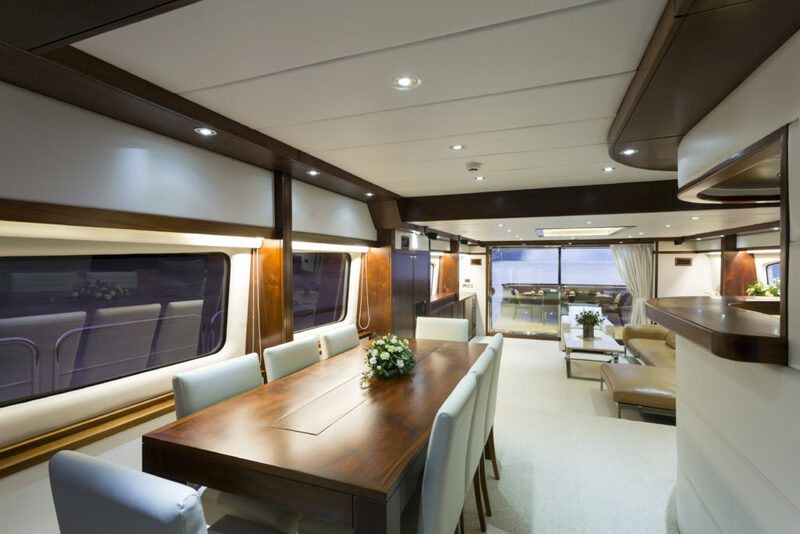 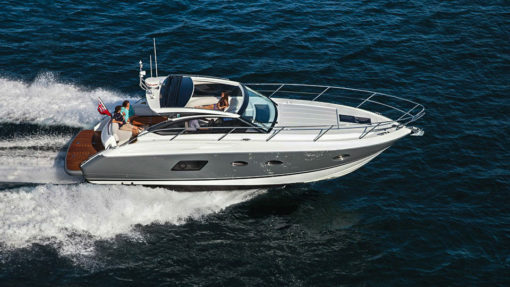 Air Conditioning and latest modern electronics throughout all the inside area of the boat. 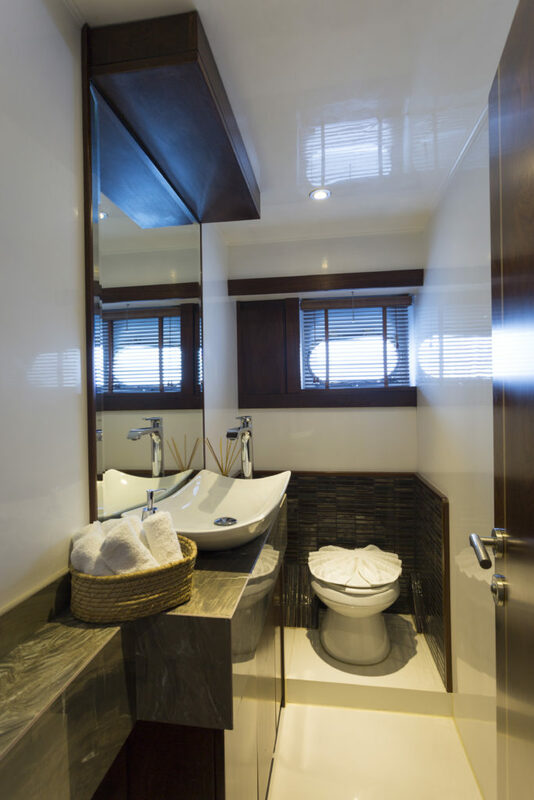 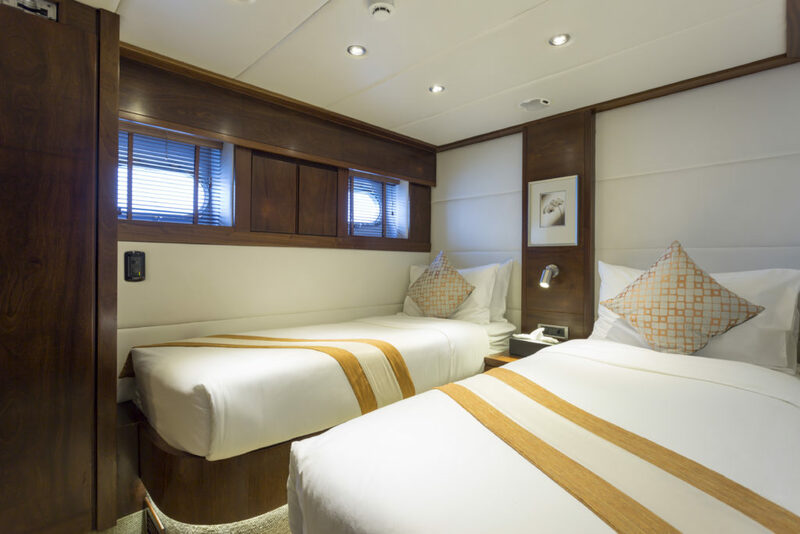 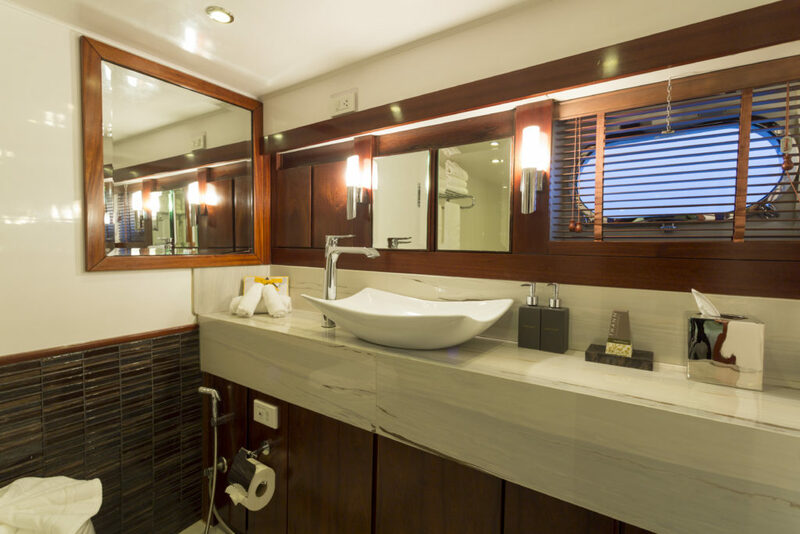 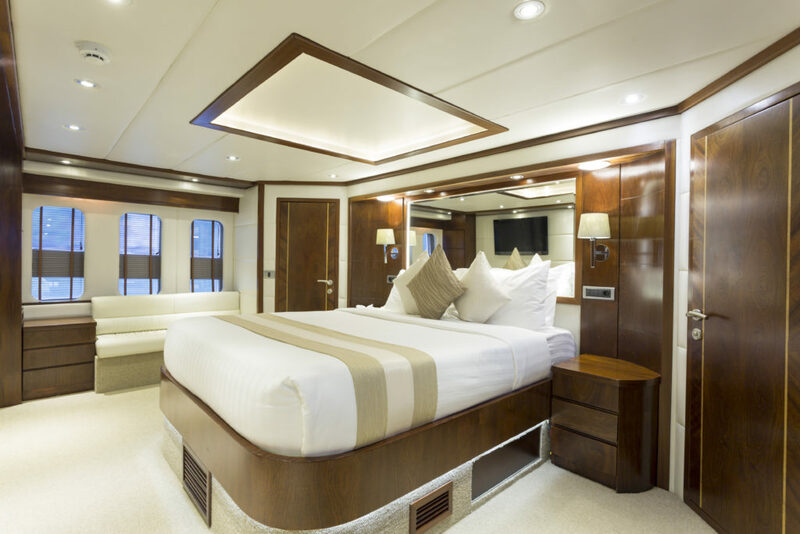 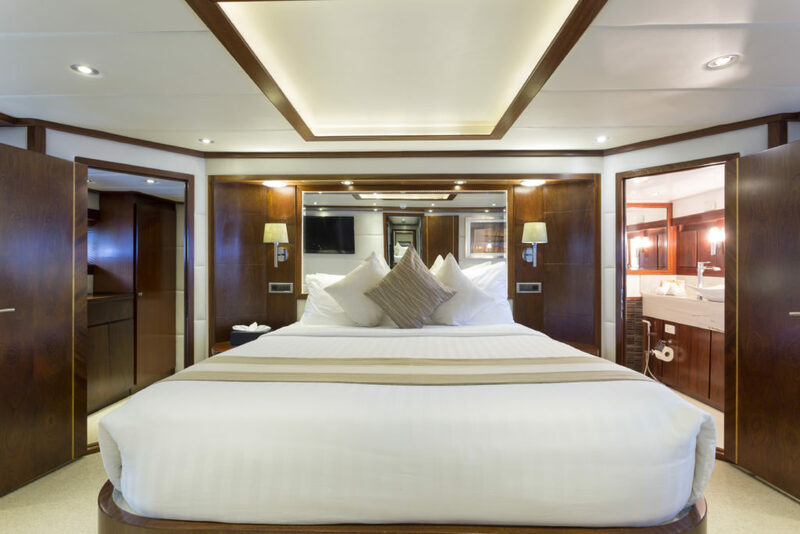 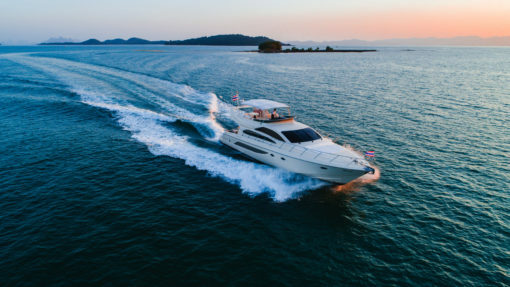 Ideal for day or overnight charters, this luxury yacht can sleep up to 8 passengers with its double-bed VIP and 2 twin cabins, each equipped with air-conditioning, TV and private ensuite bathroom. 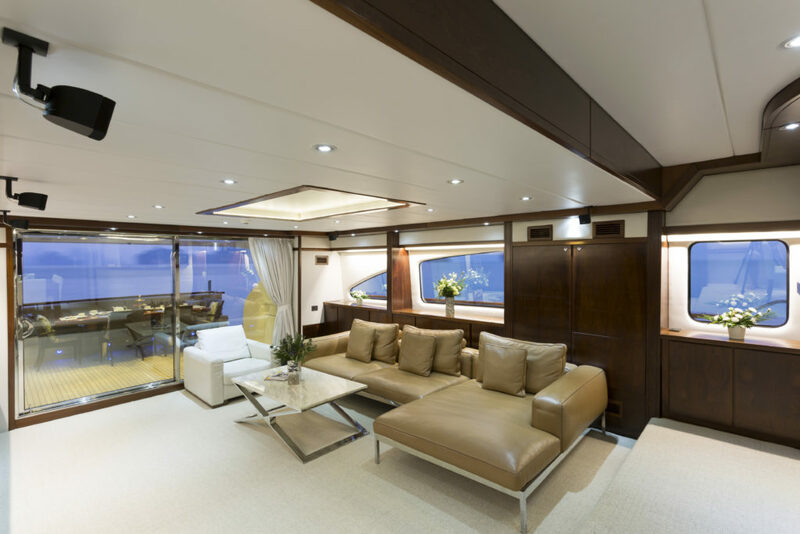 The beautiful main large saloon features stylish interiors with big, comfortable leather sofas, dining table, rich mahogany wood paneling and bright nice tall windows. 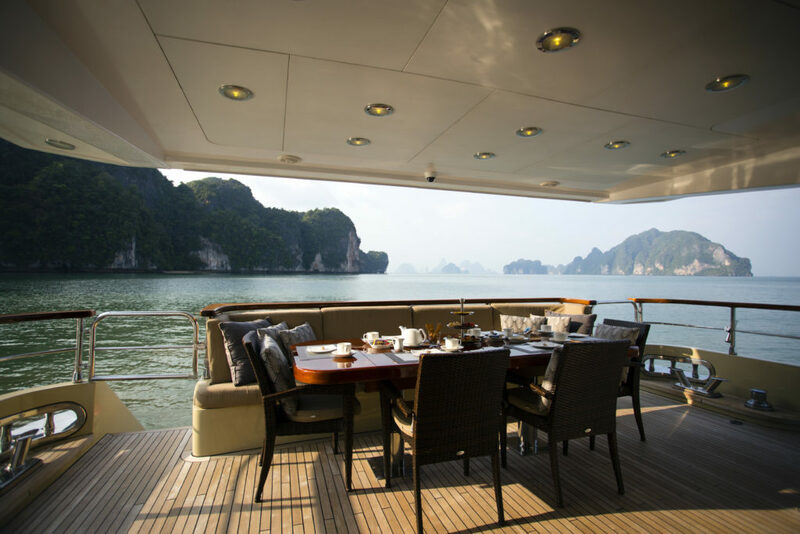 Wake up to the stunning views of Phang Nga bay and enjoy breakfast inside one of the unique lagoons of these traditional Thai limestone cliffs. 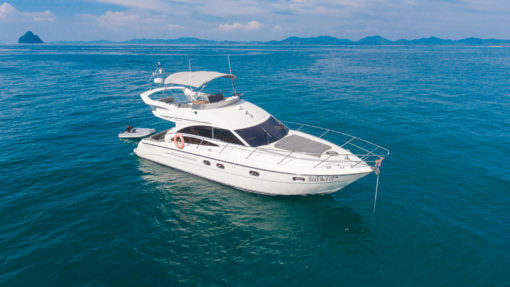 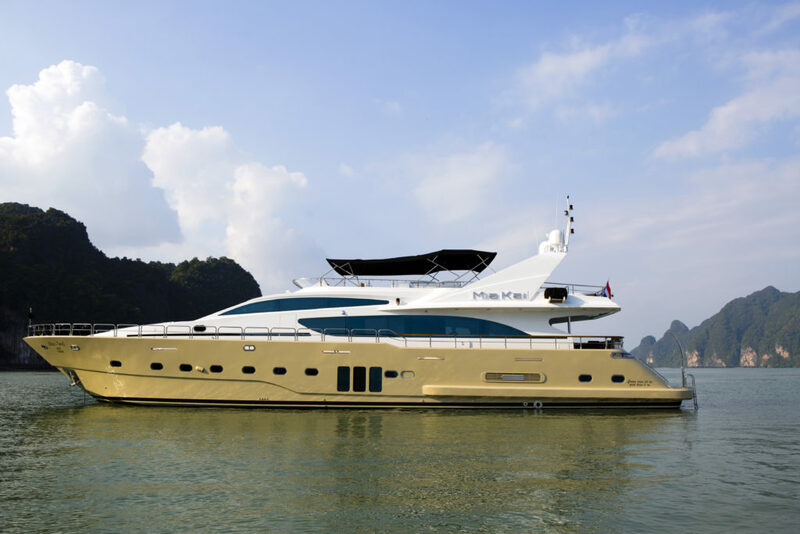 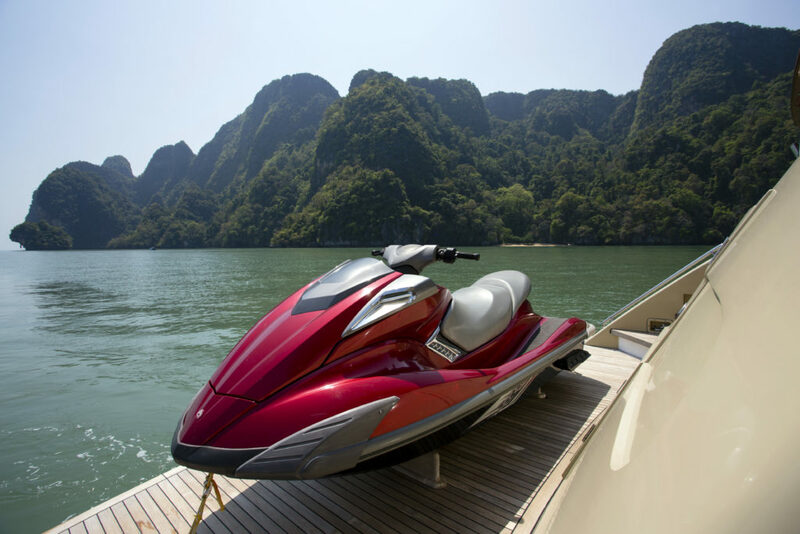 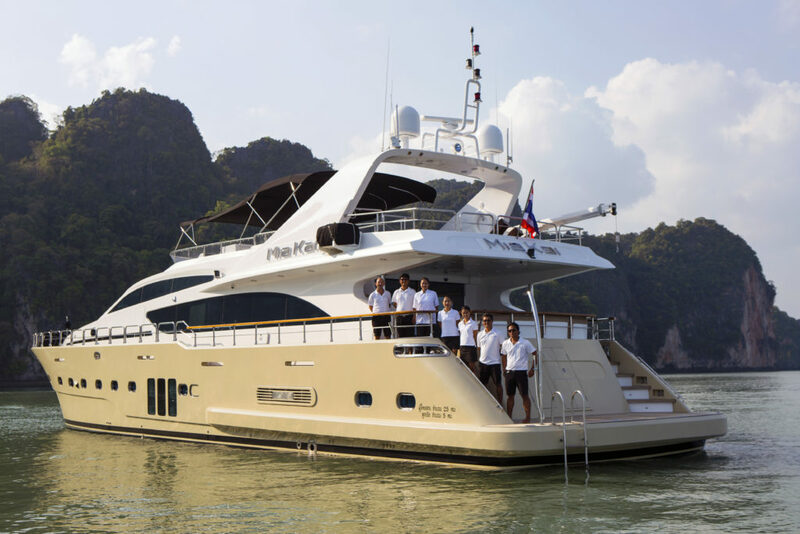 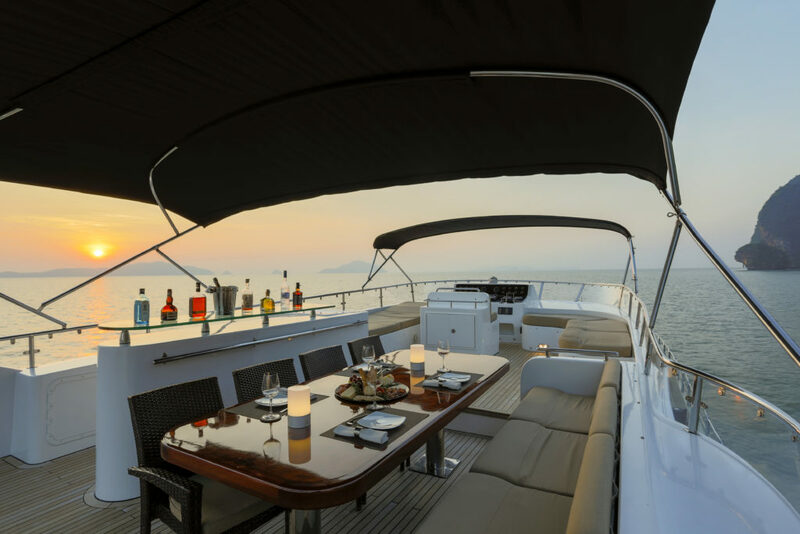 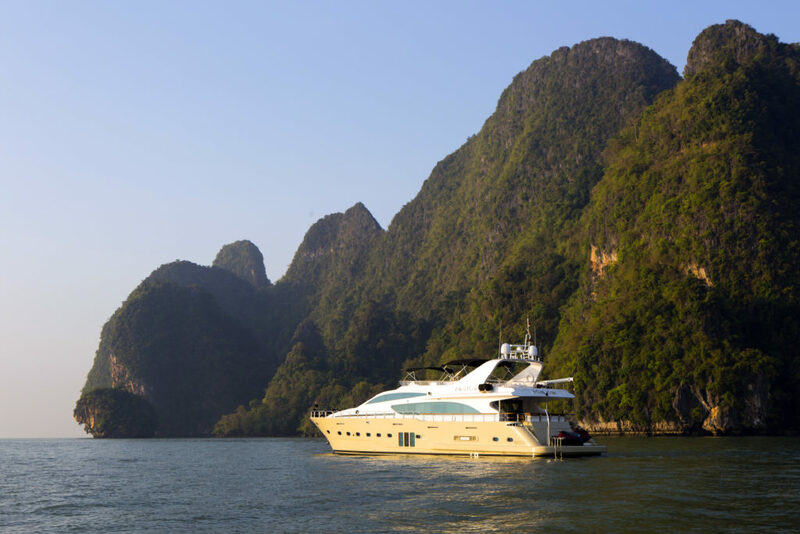 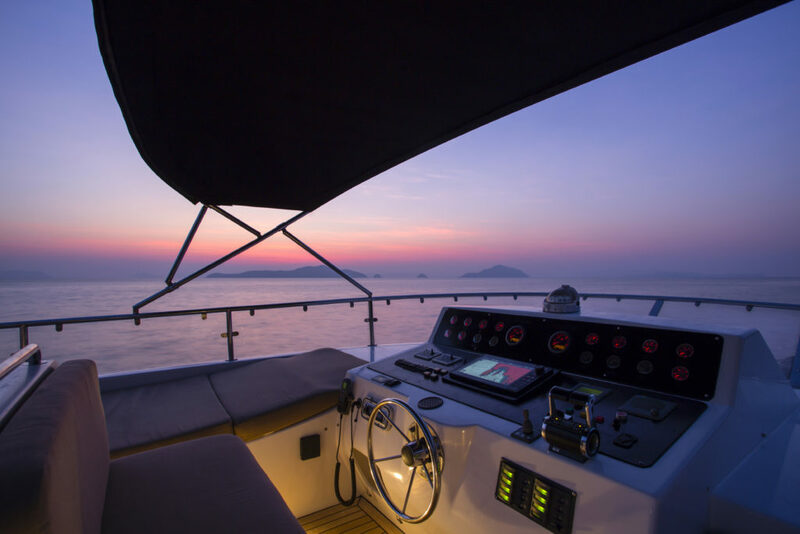 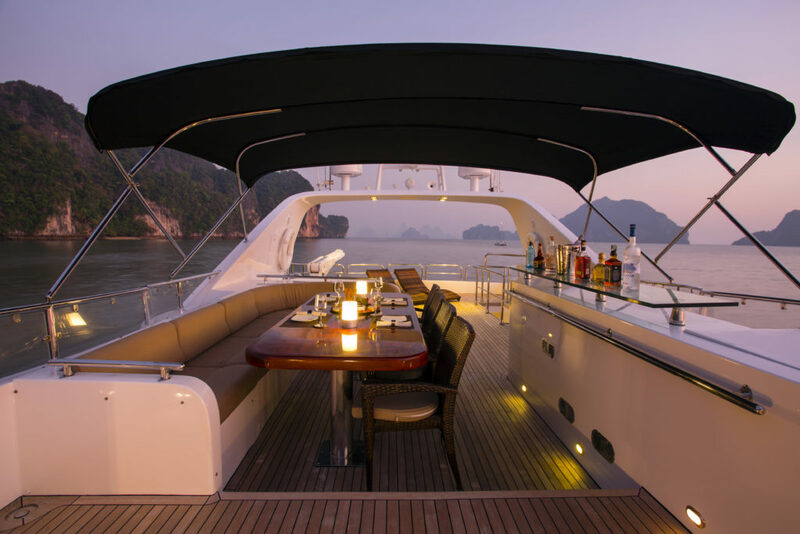 This is one of the most luxurious yachts we have in our fleet that will certainly make your cruising and island hopping around Phuket an unforgettable experience. 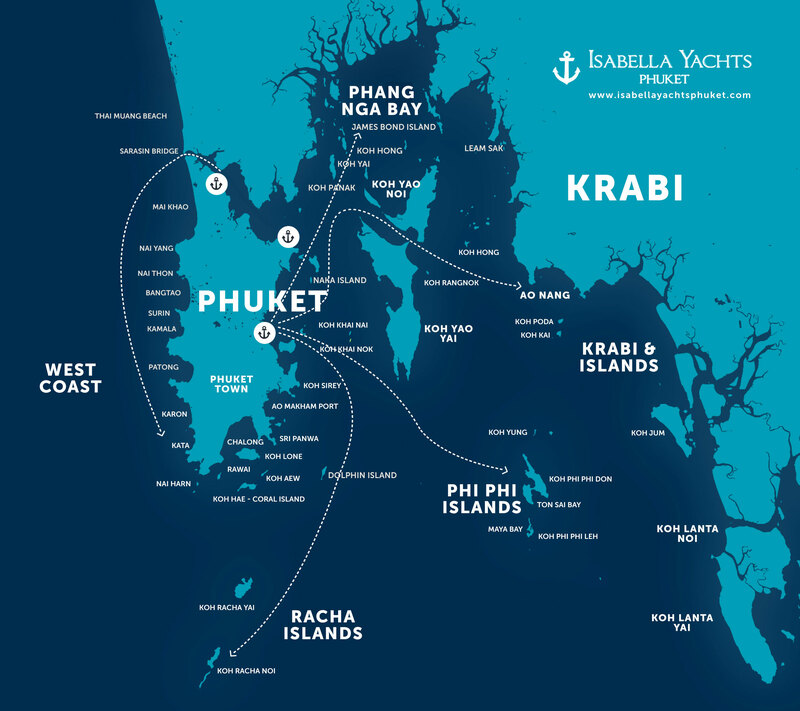 Cuisine onboard ranges from delicious traditional Thai dishes, including freshly-caught seafood, to western favourites.